Froilan Saludar of the Philippines will face the Indonesian Faris Nenggo for the vacant WBO Inter-Continental flyweight title on April 25, 2015 in Haikou, China. - Froilan Saludar is a 26 year old boxer from Polomolok, Cotabato del Sur, Philippines. He has a record of 21 wins including 13 wins by way of KO and has only 1 defeat. Saludar only loss by McWilliams Arroyo last July 2014 but came back by defeating Juan Purisima and Michael Escobia in the Philippines. Saludar currently ranked no.8 in the Philippines and ranked 28th in the world for the flyweight division. - Faris Nenggo is also a 26 year old boxer, he has a record of 10 wins including 7 losses. 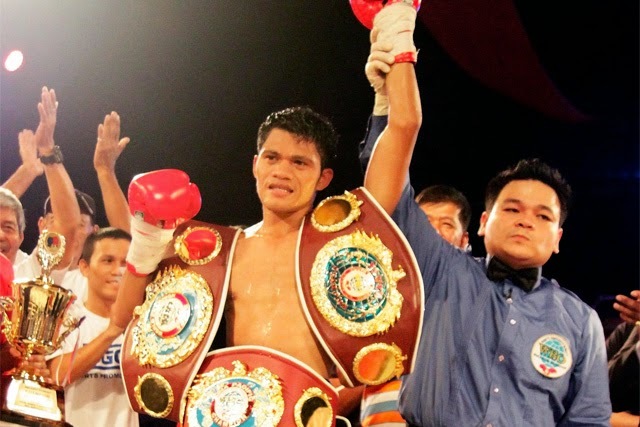 Nenngo increase in ranking when he demolished the former world champion Merlito Sabillo of the Philippines via 4th round TKO last November of 2014. Faris Nenngo currently ranked no. 1 in Indonesia and ranked no. 37 in the world for the light flyweight division.